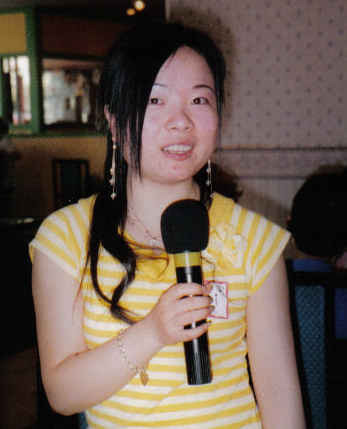 Update May 2007: The Chinese Club disbanded this month after my health went downhill and our wonderful new club president, Shirley Zhi Margate (who spoke Mandarin, Cantonese and English!) was transferred suddenly. Below is the webpage I made for the club when it was active. 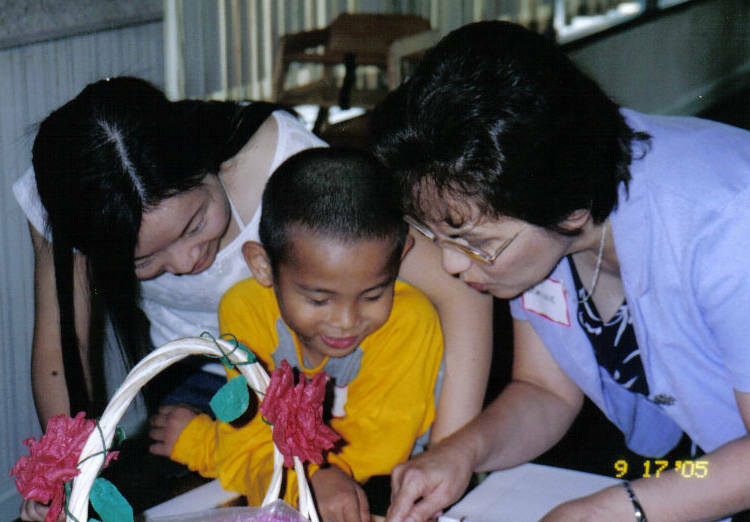 It was a great meeting place for people of Chinese descent living in our community. Donnie and I made so many new friends. We loved the club! 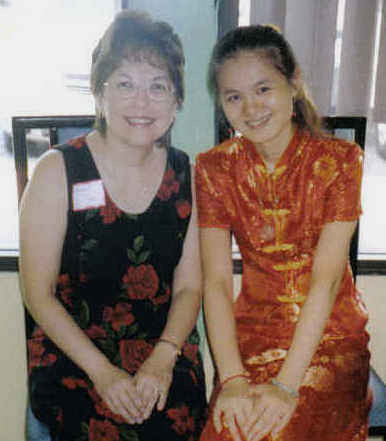 This is how our club got started: I am of Chinese and Ukrainian descent. 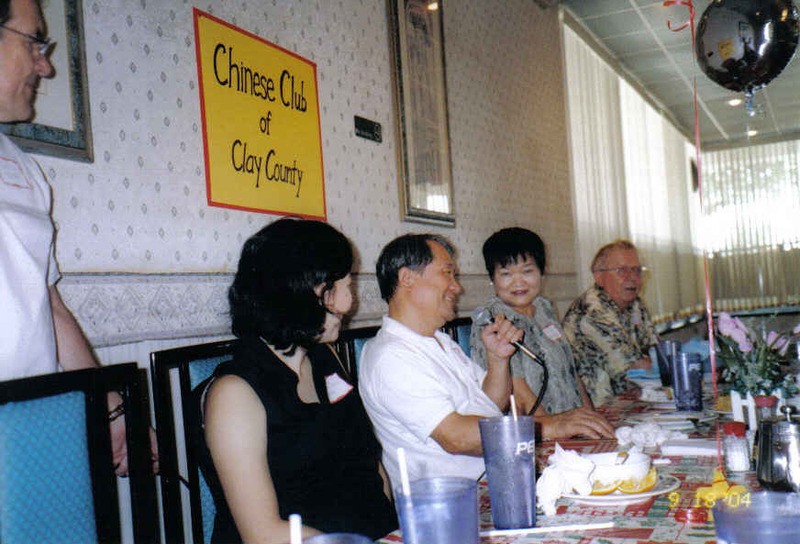 My parents and I used to attend the Chinese Club in Jacksonville, but it is a long way from where we live now. 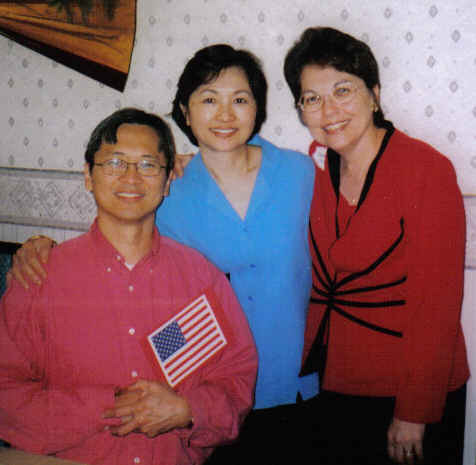 When Donnie and I moved to Green Cove Springs three years ago, I noticed a lot of Chinese in our community. 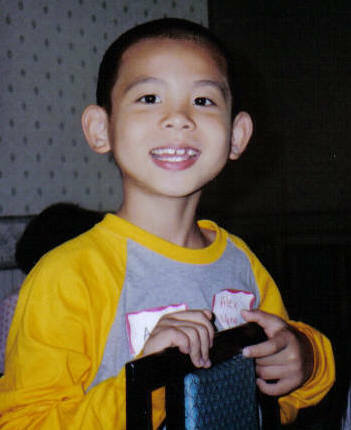 In 2004, I began contacting people who I thought might be interested in having a Chinese Club in Clay County for the purpose of friendship. 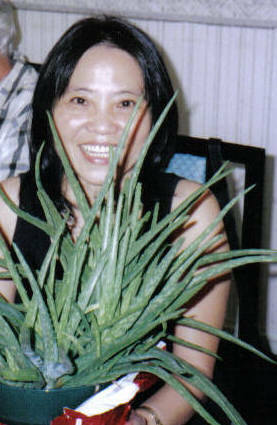 I had the help and advice of several wonderful Chinese friends. Before long, we had a great club going! The club meets bimonthly for lunch at Asia Buffet on the third Saturday of the month. Please email dombush@bellsouth.net for more information. Families are welcome, and it's great to have children and teens in attendance, as well as adults. 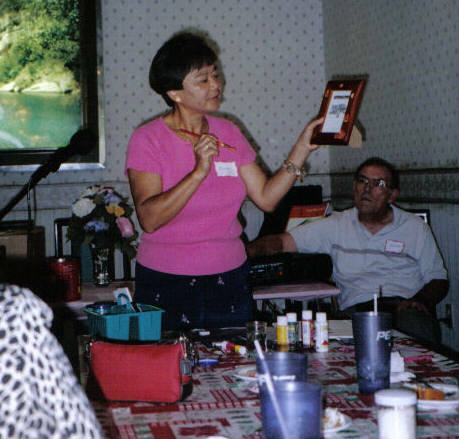 We have many diverse interests and occupations represented in our club. 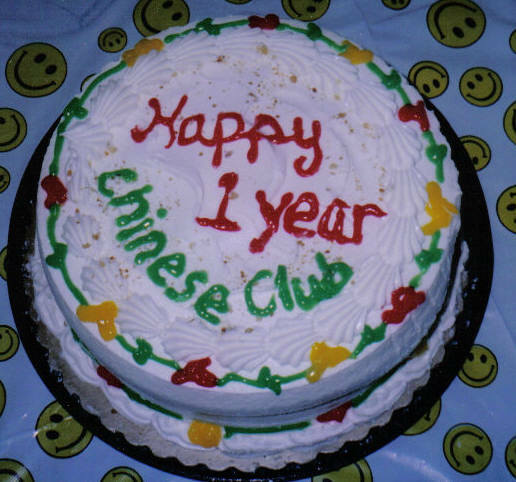 The Chinese Club of Clay County celebrated its one year anniversary on September 17, 2005. We've had lots of fun and laughter and look foward to many more delightful meetings in the coming year! My husband Donnie (pictured above--partially cut off in the far left corner) does a lot to help our club meetings run smoothly. He operates the sound system, takes pictures and is supportive in so many ways. 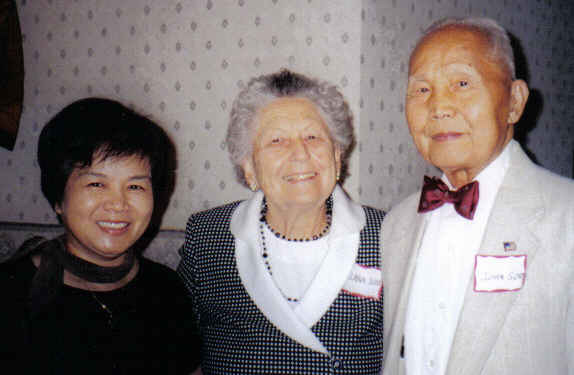 My father, John Yun Chun Soo (pictured above on the far right, now deceased) was so happy that we were able to begin a Chinese Club in our county. Donnie and I have really enjoyed the many new friends we have made and look forward to meeting many more in the coming year!